Classic ladies’ longsleeve with form fitting cut and good workmanship from Gildan. Matthew J. Parker "the legend writes:" 2 dalek stories, 50 years apart This release is now confirmed to feature two Dalek stories, The Daleks (1963) from the William Hartnell era, and Asylum of the Daleks (2012) from Matt Smith. It's an interesting pairing as it shows two stories - same show - but almost a half century difference between their broadcast dates. I can't think of any other TV show that could do that! 'The Daleks' is a seven parter, the second full Dr Who story, and (I know this won't sit well with everyone) is a long and frequently dull tale. That's not a knock on the early years of Who, I love other stories, but I've just never found it very exciting past the first episode. The discovery of the city and getting in to it, up to the classic episode 1 cliffhanger is great, but the Thals in their leather pants are weak creations and the Daleks should easily be able to wipe them out. (My apologies to anyone who loves the story). I also think i'm the only person who likes Asylum of the Daleks. Other than featuring the same villains the two stories just cannot be compared in all areas really. 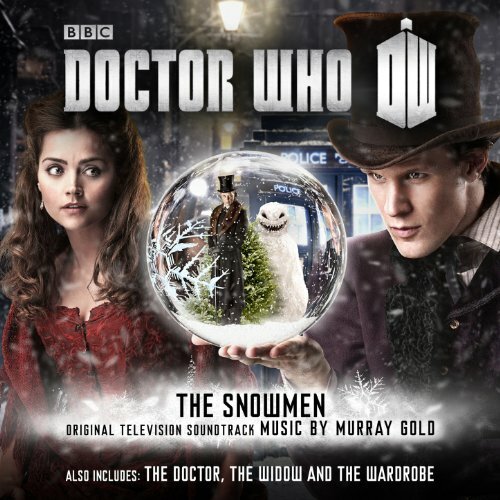 It's not faultless and I find Jenna Louise Coleman irritating beyond belief in this story (but I think that's the point?) We do get to see some classic Daleks (though CGI may have helped to have added a few more - the build up before it was shown meant it never lived up to the hype). Anyone who's says they're not creeped out by the skeleton Daleks though are fibbing. Alaran The Daleks/Asylum of the Daleks I have no idea where `KK' gets his/her information. According to the BBC these `Monster Collections' are specially themed sets to represent the most popular opponents of the Doctor. Each DVD will feature a story from the original run of Doctor Who (usually the first appearance of the monster) and from its return since 2005 (ie. Old Who and New Who as it is sometimes termed).They are to be presented in sleeved cases in much the same design as `The Cybermen Collection' and `The Dalek Collection' that were released in 2009. This looks as if this will give them a collectible appearance.This DVD includes:THE DALEKS (4/5) - the iconic first appearance for the Doctor's most renowned opponents. It made the Daleks a household name and began their fifty year legacy. 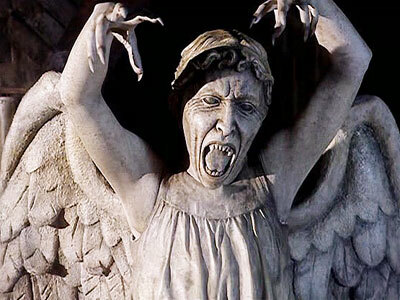 Without this story it is possible that Doctor Who may not have continued after its first thirteen episodes. It also contains one of the greatest ever cliff-hangers.ASYLUM OF THE DALEKS (4/5) - as a single part story this seems a bit shorter than the other offerings on these collections and it seems odd that the choice was not one of the many two episode stories featuring the Daleks since the show has returned. It is a strong story though and supposedly features every type of Dalek (although you will need good eyesight and the pause button).As yet there is no mention of special features. It would seem a shame if there weren't any.As previously released stories they are clearly intended to be collector's items especially for the fiftieth anniversary. 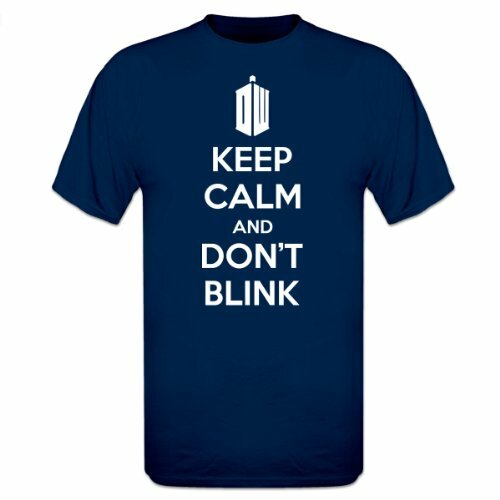 Here at YWP we design a huge range of t-shirts. 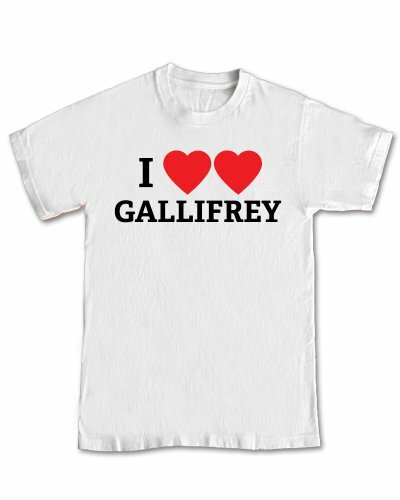 All of our t-shirts are created with love and the occasional cuddle to give you a unique sense of style and wit. 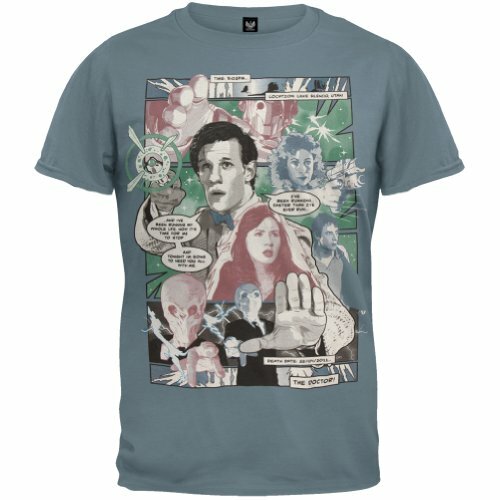 A bombastic comics splash adaptation of “The Wedding of River Song” from Doctor Who’s sixth season is emblazoned across the front of this light blue, 100% cotton t-shirt. 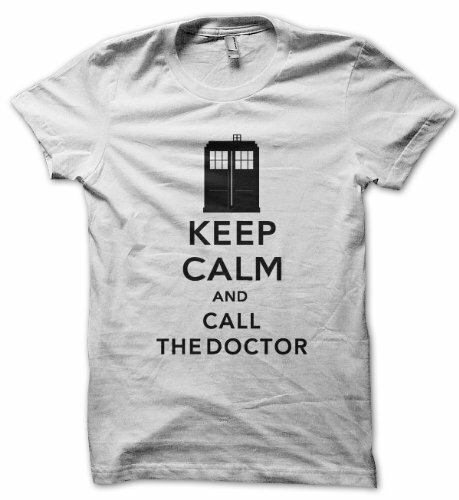 Next time you’re having a bad day, just remind yourself that you’re not The Doctor on April 22, 2011 and read this tee to feel better. Unisex round neck basic t-shirt from B&C. Very comfortable to wear due to the generous cut and excellent workmanship. Ribbed hem and cuff with thumb hole. Vote Saxon!. We made the perfect t-shirt for you – it is in the new Spreadshirt Collection. This allrounder has been optimised for all t-shirt printing techniques, and it always provides brilliant results. Colours and sizes (S-5XL) of the new collection for women, men and kids are exactly the same as before, so that you can kit out your family, club or pub team in matching colours. The collar is slightly wider, but not too blatant, and the tailoring is very feminine and slightly longer. The tees are produced in Europe, and the DNA code of every single item can be entered online to track chain of production. 100% cotton. The fabric’s consistency of 150 g/m² makes it a durable wear. Once your purchase is complete, we print your product on-demand, just for you. This is how we provide one-of-a-kind articles that our customers love. An added benefit: On-demand printing reduces waste and is environmentally friendly!. 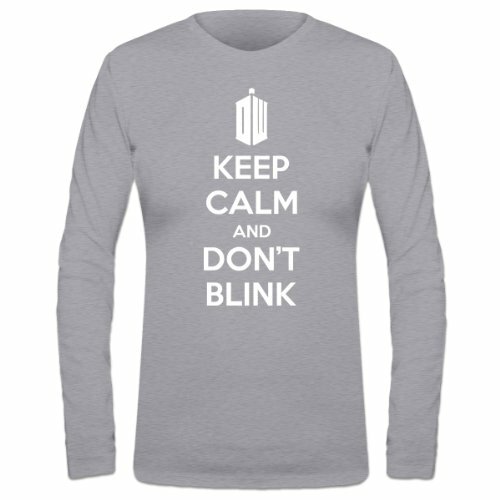 80% cotton, 20% polyester (280gsm). Twin needle stitching detailing cords.